Teaching children to pray the Rosary does not have to be monotonous and painful. Since every child interacts with the world around him or her differently, Howard Gardner’s Theory of Multiple Intelligences can help catechists make praying the Rosary a positive experience. Here are some creative ways to engage the eight “signs” of intelligence proposed by Gardner. Try praying the Rosary using a different technique each month, or offer several choices for the class as you pray together. Provide a written outline of the Rosary, including a summary of the mysteries and a copy of the prayers. 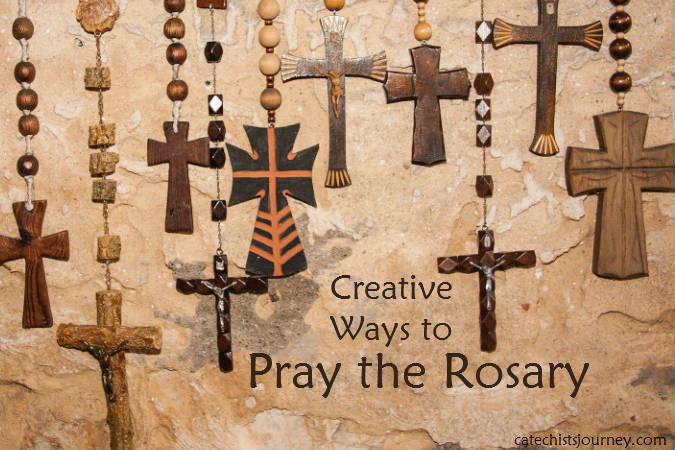 Children can make posters that explain how to pray the Rosary and include the text for each of the prayers. Older children can write short reflections for each of the mysteries. Sing the prayers. 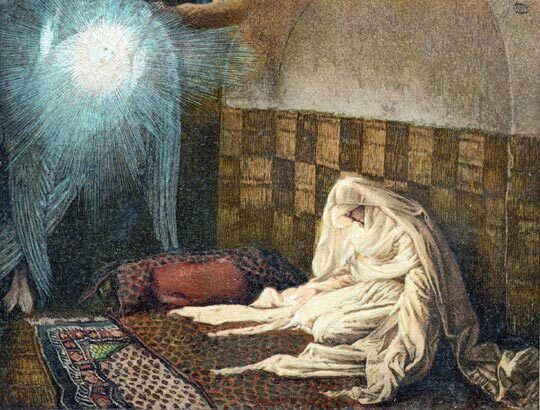 There are several melodies for singing the Lord’s Prayer, and a beautiful melody for the Hail Mary can be found at the beginning of the hymn “Hail Mary, Gentle Woman” by Carey Landry. Note that singing slows down the prayers, which provides great time for reflection, but can quickly become tiresome for children. Singing just the first Hail Mary of each decade can be a good compromise. The Rosary in itself follows a logical sequence for children who are number-oriented. Making rosaries with string and beads can be a fun activity during which children must count the beads and spaces. Print out a picture of the Rosary; children can color in each bead as they pray. You can also print out pictures of the mysteries for children to color as they reflect on that decade. Another option is to have the children draw illustrations for each mystery. Make a walking rosary by hanging papers that symbolize beads around the room. Children can walk from bead to bead as they pray the Rosary. If it is safe to do so, draw beads on the parking lot using sidewalk chalk. Another option is to make a giant rosary out of rope and slices of pool noodles. The children can take their places around the rosary and hold up the appropriate beads as they pray together. Divide the children into pairs or small groups that can find a quiet spot to pray together, taking turns praying each Hail Mary. You can also divide the class into five groups. Assign each group one mystery for which they would write a reflection and present it to the class. Each group can take a turn leading the prayers for their decade. Provide time for the children to pray by themselves. Praying a decade of the Rosary can be a great quiet activity when a child finishes other work early. When praying as a large group, be sure to provide quiet time for personal reflection as each mystery is announced. A guided meditation can help children personally reflect on each mystery. Pray outside. If your parish has a garden or grotto, spend time praying there. If the garden or grotto has a statue of Mary, ask if you can plant flowers near the statue, or create a flower crown to place on Mary’s head. 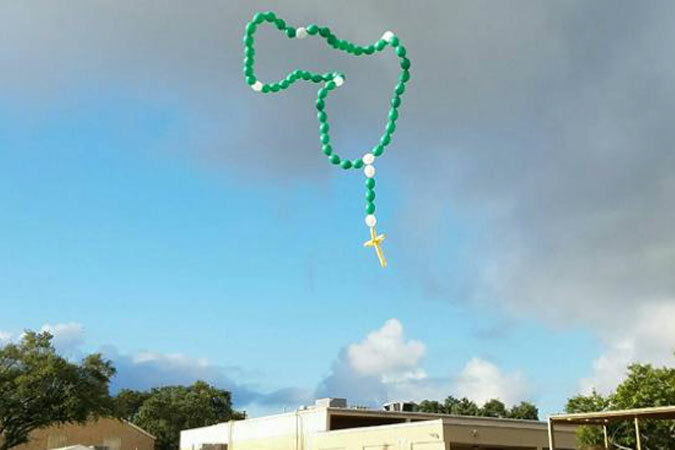 What creative ideas do you have for teaching the Rosary? I am delighted to have discovered this post! I teach about Mary and the Rosary for our RCIA at the Cathedral in Lubbock, and have long been an advocate of the different learning/praying styles. Thank you so much! When I was about 7 or 8 our teacher made a rosary using conkers. I vowed that one day I would make one! It was really big, so we could all see it in assembly really easily. It hung on the wall in the main hall of the school. The timing was perfect, as conkers are around just before October, when we think more about praying the rosary. I made one with my children many years later and took it into their school for the teacher to show and talk about. It still hangs in our sitting room. I love it. I just recently started to pray the rosary throughout the day or night. It started a couple of nights ago when I couldnt stay asleep, so everytime I woke up I would say a mystery,then the next day I started praying the beginning of the rosary when I woke up,then in the shower I would pray again or while cleaning or taking out trash. I continued to pray until the rosary was completed. It is easier for me this way. This is a new way for me to say the rosary so I will see how it works out. Do Rosary hikes outdoors,using the computer with images of the Holy Land, or say it one decade at a time throughout the day and while doing chores, like:the dishes, laundry, or others to make time go better. There are many CDs to listen to in vehicles including those from Lighthouse Catholic Media.